If the CRA rules that the groups exceeded those limits, their charitable status could be revoked, which would effectively shut them down. Many of the groups are among the Conservative government's fiercest critics. Finance Minister Jim Flaherty signalled clearly in his budget of 2012 that political activity of these groups would be closely monitored and he allocated $8 million to the effort. The environmental organizations believe they have been targeted with the goal of silencing their criticism. 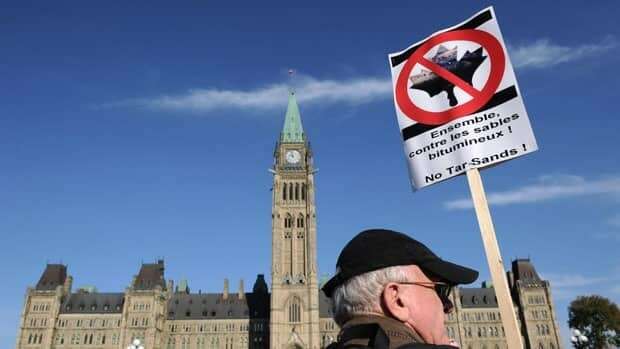 “We’re concerned about what appears to be an increase in audits around political activity and in particular around environmental organizations,” said Marcel Lauzière, president of Imagine Canada, an umbrella organization for charities. “This is a war against the sector,” says John Bennett, of Sierra Club Canada. His group is not yet being audited, but he said he is prepared. "In the 40-year history of the Sierra Club Canada Foundation, it's been audited twice in 40 years," so there are more audits than usual, Bennett said. Most groups on this list would not talk on the record, but sources say executive directors of these groups are meeting regularly by phone to discuss a united response to the government. By law, charities are allowed to use a maximum of 10 per cent of their resources for political activity or advocacy, but the guidelines are clear that it cannot be partisan activity. That has been interpreted for years to mean that a group can oppose a government policy but cannot back a specific candidate in an election. During a pre-budget consultation in December, Flaherty said he is considering making even more changes to rules for charities that have a political aspect. “We're reviewing that,” Flaherty said. “We spent some time on it last year and we're looking at it again now as I prepare the budget." He went on to warn charities: “If I were an environmental charity using charitable money, tax-receipted money for political purposes, I would be cautious." Bennett said the rules seem to be constantly changing. “We don't know what rules we're playing by. The problem with this is that they gave the power to CRA to walk in and shut you down. And then if you want to complain, you can go to court afterwards." The government insists it does not target certain charities, nor does it tell CRA to do so. Auditors alone determine whether they investigate a charity. "I assume they receive all sorts of information from all sorts of Canadians, in terms of who they should or should not audit. Ultimately it is up to them as an independent agency who they audit or not,” Alberta Conservative MP James Rajotte said. CBC News contacted the CRA several times to ask how auditing targets are chosen. Spokespeople suggested responses could be found on their website. There, it states some of the reasons a charity could be selected for an audit, including random selection, to review specific legal obligations under the law and to follow-up on possible non-compliance or complaints. According to lawyer Mark Blumberg, who specializes in charity law, the CRA often audits charitable organizations based on complaints. “If there are a number of complaints about a charity and its political activities, that could trigger an audit by CRA,” he said. That assessment is echoed by a number of groups currently undergoing audits. “I believe our audit was complaint driven,” said Ross McMillan, the president and CEO of Tides Canada. “I am confident of a positive outcome as we take seriously our responsibility to act in compliance with the Income Tax Act and Canada Revenue Agency guidelines,” he said. McMillan goes on to cite complaints from Ethical Oil, a group that has formally submitted complaints to the CRA about Tides Canada, the David Suzuki Foundation and Environmental Defence. The complaints are all filed through legal counsel and are part of a campaign Ethical Oil has started to strip these environmental groups of their charitable status. Ethical Oil is a registered non-profit non-governmental organization that describes itself as an “online community” to empower people to become grassroots activists in defence of the oilsands development. CBC News has repeatedly asked Ethical Oil to reveal who their funders are but no specific list has been made public. Environmental groups are not the only ones who have been audited. Social justice groups like Amnesty International Canada are also currently undergoing an audit about their political activities. CBC News contacted them but they declined to comment. All the groups say they will be watching Tuesday's budget for new rules that may affect their charitable status. "We have an important role to play in our society and we want to play that role," said Bennett. "But we need a governing system that actually welcomes public dialogue instead of discouraging it." environmental charities face Canada Revenue Agency audits – Politics – CBC News.